The holidays are upon us, and it isn’t difficult to get in the spirit with your decor. But what do you do when your space (or your wallet) can’t accommodate a traditional Christmas tree? Simply create an original one, of course. 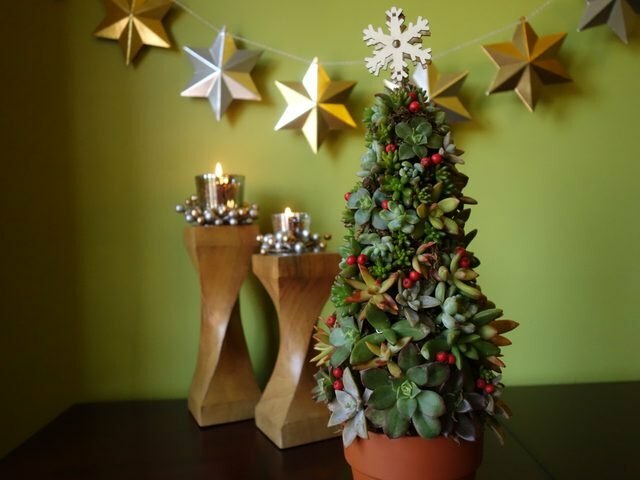 From a sapling made of succulents to a colorful mimic made of string, these Christmas "trees" are unconventionally beautiful additions to any home's holiday cheer. 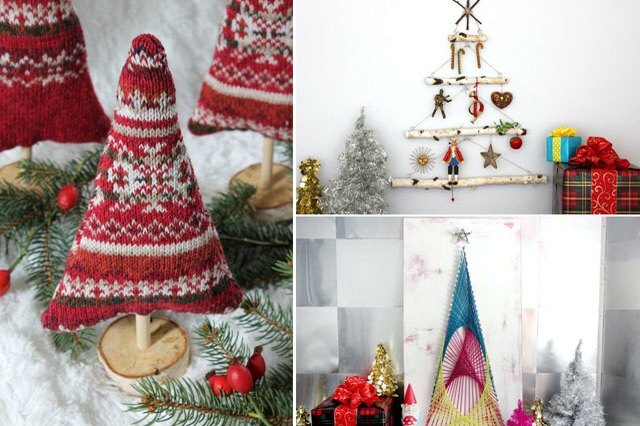 Whether these projects take the place of a cedar, fir or pine, or they simply act as additional decorations, these are budget-friendly ideas that'll make your home merry and bright. While you may have seen a succulent wreath before, this lovely succulent tree takes the succulent game up a notch. Get a few simple items from your local garden center, like succulent clippings, chicken wire and some sphagnum moss, and you can sit back and enjoy a living work of art in no time. 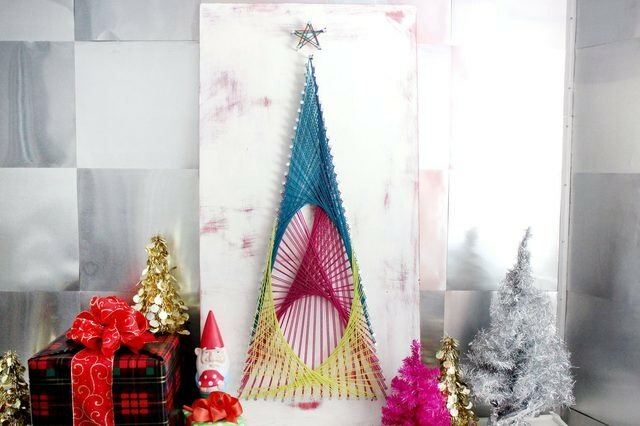 This playful string art Christmas tree will deck the halls with joy. Gather your family and friends, and turn this into a project where everyone has a chance to participate. Hang your tree in a spot of honor, like the living room, and admire the multicolored view with hot chocolate for all. 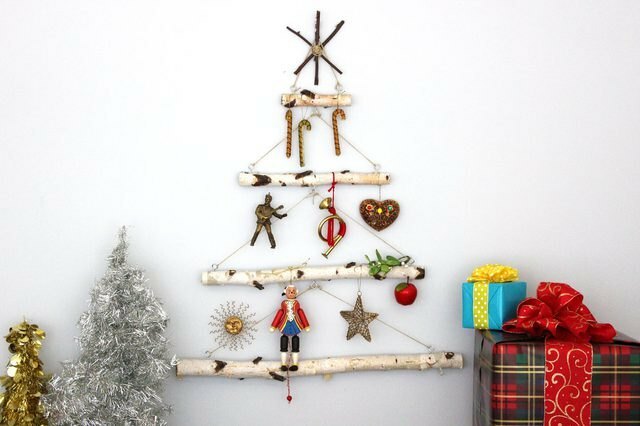 When your floor space leaves something to be desired, this crafty birch branch Christmas tree decoration is exactly what your room needs. Not only do you get the shape and feel of a tree, since it is made of wood, but you can hang all of your favorite ornaments without worrying that they'll get lost in the branches. No room should be left out this Christmas, so bring decorations to all. 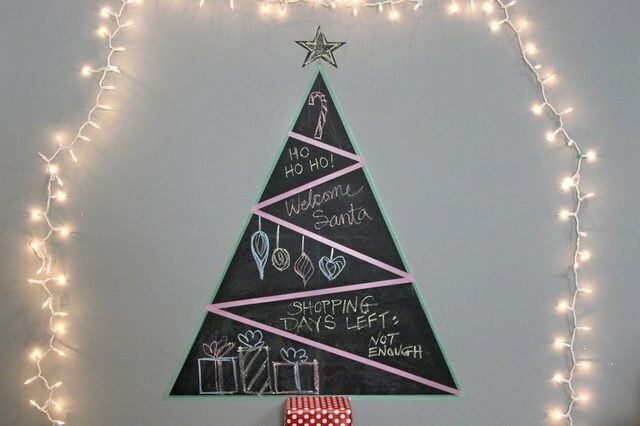 This chalkboard and washi tape Christmas tree is ideal for rooms where a regular tree might be more of a hindrance, like a kitchen or child’s bedroom. Simply apply chalkboard contact paper and washi tape and let your artistry loose! 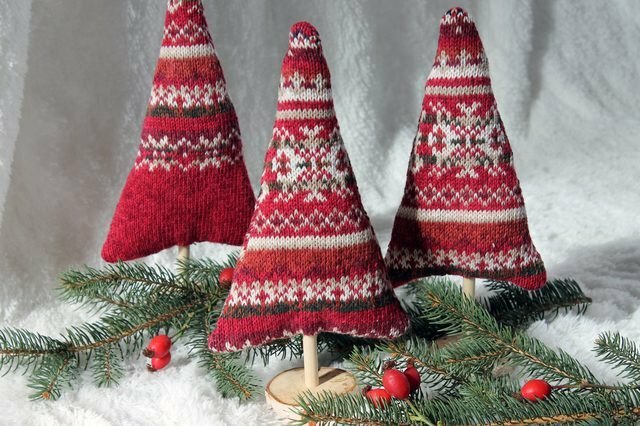 Small, sweater trees are a fantastic way to re-purpose a beloved winter garment or give a new life to that old ugly Christmas sweater you keep at the bottom of your drawer. Collect a few tools, and you will have a great decoration for any bookcase, mantle or window ledge faster than you can say “on dasher, on dancer, on prancer...” and so on. What Does the Christmas Wreath Stand For?